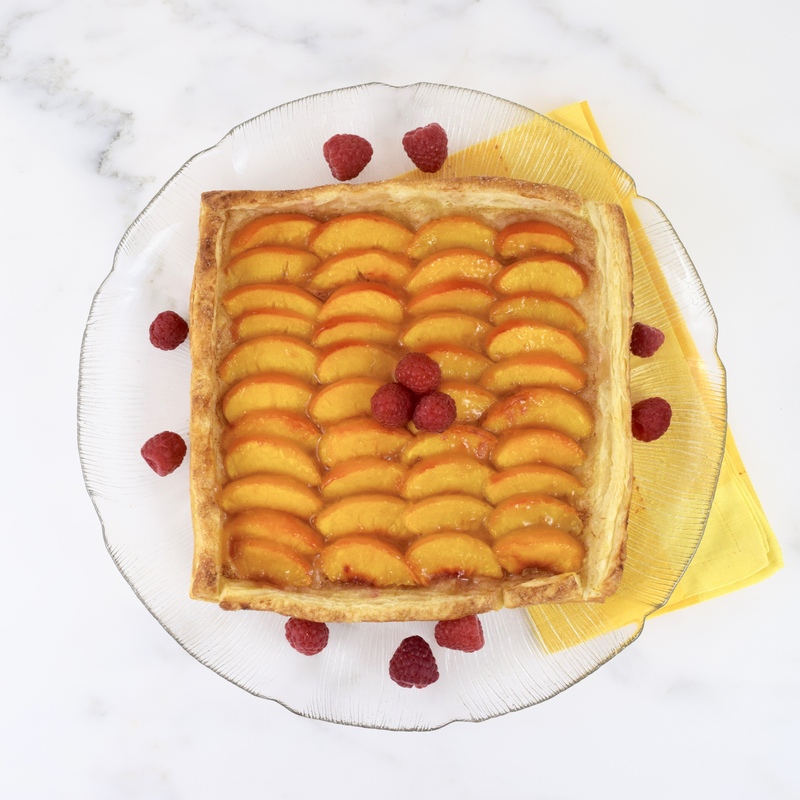 Since I have eight juicy and delicious peaches left, I thought I would make a fruit tart. I do like to bake, but I don’t consider myself a baker. I have my limits and this mean that I have to rely on store-bought puff pastry. It isn’t the most healthy food item, but it sure does help making a tart so much easier. 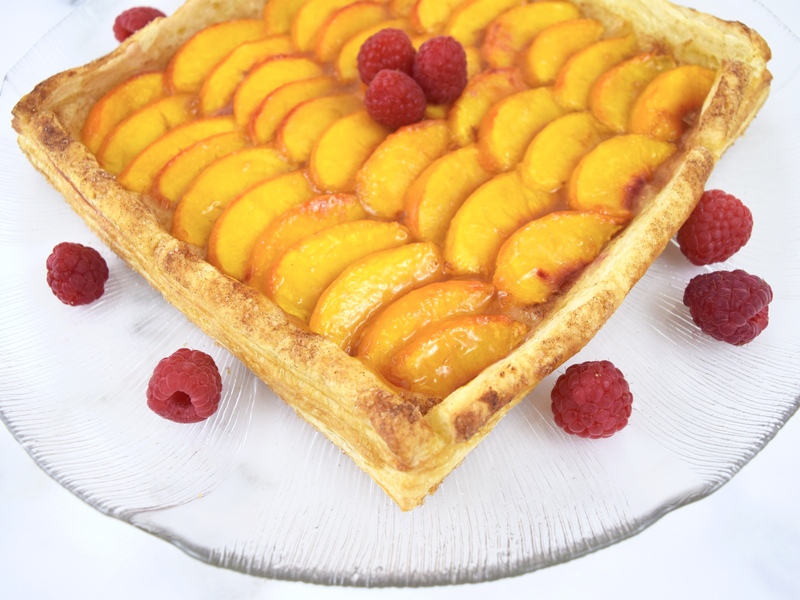 So my peach tart is not only simple to prepare, but it is tasty with not a lot of added sugar. The only added sugar, 1 tablespoon, was in the cinnamon-sugar mixture. I used organic apricot preserves that have 40% less sugar than regular preserves. Love to have my sweets, but in moderation! 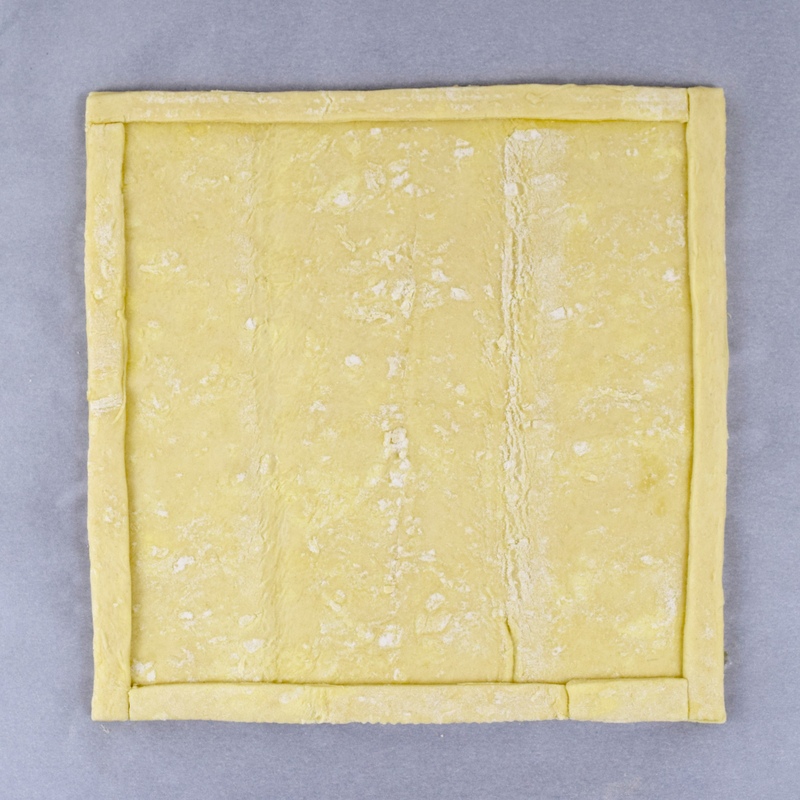 Place a thawed puff pastry sheet on a baking sheet lined with parchment paper. Slice ½-inch strip from each of the 4 pastry sides. Whisk together the egg and water to make the egg wash. Brush pastry edges with wash. Place pastry strips on the pastry edges. Brush strips with egg wash.
Stir cinnamon and sugar together in a small bowl. Sprinkle the entire sheet with the sugar mixture. Layer the peaches on top of the pastry sheet. Place in the middle of oven. Bake for 20 minutes. 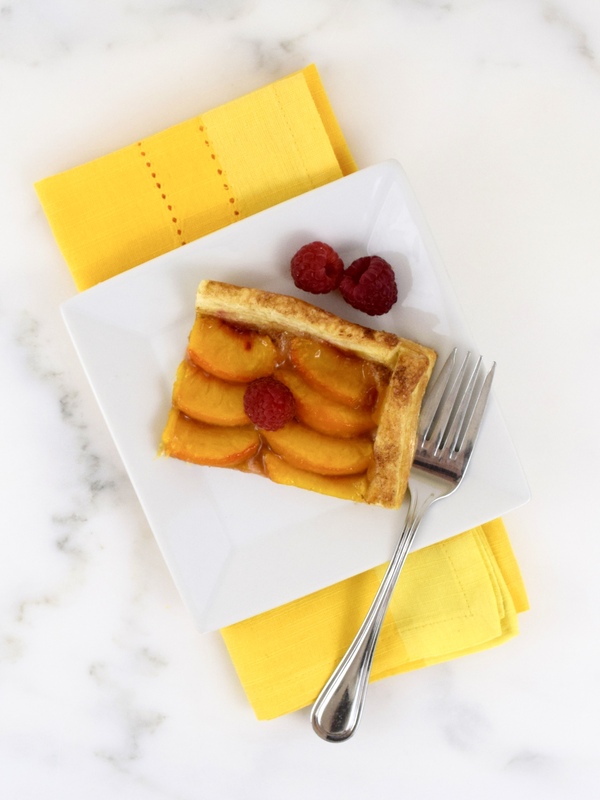 After tart has cooled, brush peach slices with the warmed apricot preserves. 6 servings. 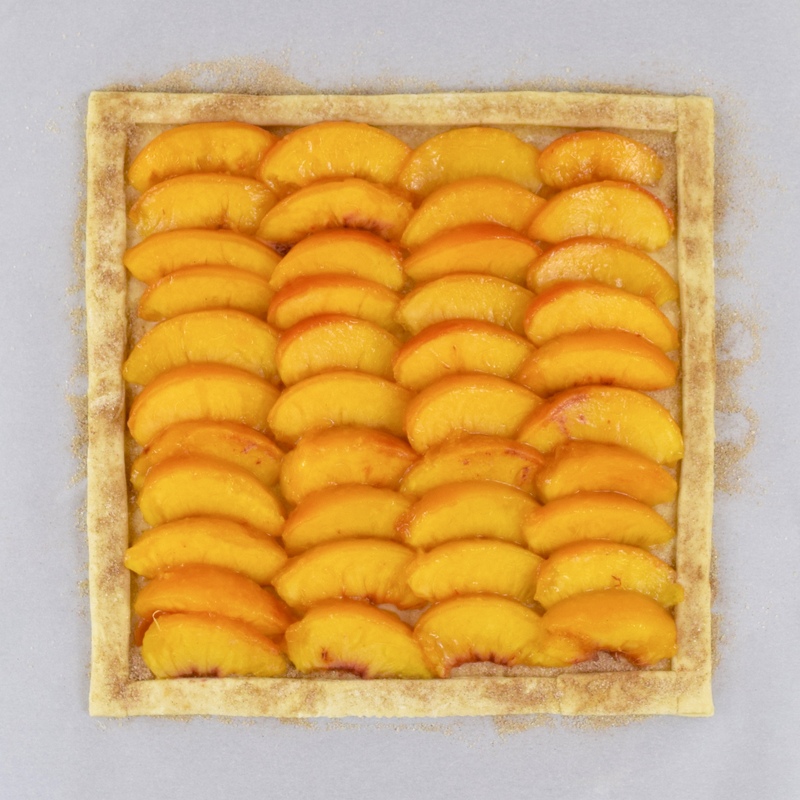 Your peach tart is beautiful and I love your photos! Such a simple and delicious-looking dessert. Inspiring.